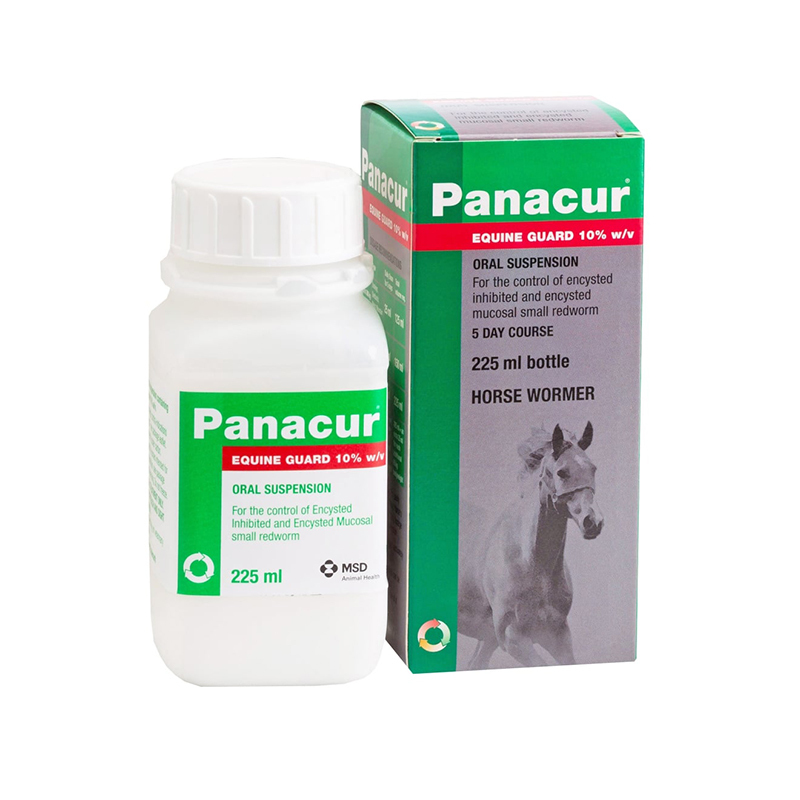 Panacur Equine Guard Suspension contains Fenbendazole. It is a liquid that is effective against small strongyles; large stronglyes; ascarids (roundworm) & pinworms. For example, a 585kg horse will require 45mls per dose and a 225ml bottle will be sufficient for a 5 day course.